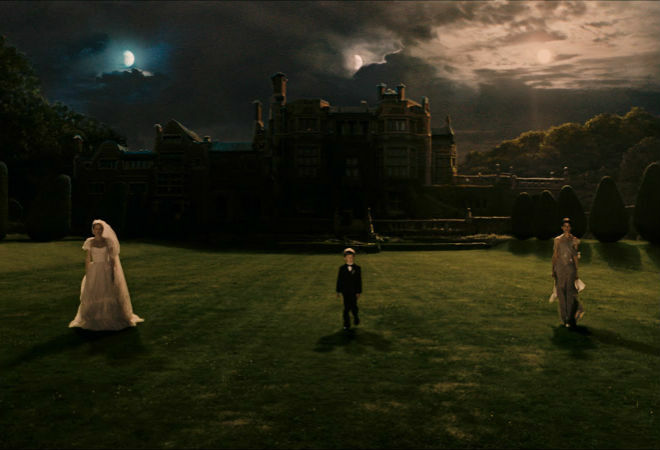 “Melancholia” isn’t just the deepest and most compassionate movie Danish filmmaker Lars von Trier has made but the most haunting in recent years by anyone. Here’s a film to swallow up existence let alone block out the sun. By all accounts the Danish filmmaker Lars von Trier is an unpleasant man, so desperate for attention as to get it in all the wrong ways; he has made movies repellent (Antichrist), abusive (Dancing in the Dark), and empty (Zentropa). This, then, must be the sort of exception that proves rules: one of the new century’s early masterpieces, in which the snap of the director’s clipboard brings on a cosmic car-wreck and unleashes emotional truths that are overwhelming before they’re meaningless. And for all his bad-boy posturing, what does it say about Trier (the “von” is an affectation) that his talent for eliciting consistently remarkable performances from actresses—Emily Watson and Björk in the past, Charlotte Gainsbourg and most notably Kirsten Dunst here—may be unsurpassed by any other contemporary filmmaker? Surveying the collapse of sanity, the implosion of a marriage before it begins, and the end of the world when the cyanide capsules run out, with photography by Chilean-born Manuel Alberto Claro that evokes next year at Marienbad, Melancholia isn’t just the deepest and most compassionate movie Trier has made—transforming his instinctive cruelty and no-exit sensibility into earthbound pity and insight—but the most haunting in recent years by anyone. From the opening images, as rogue planets come crashing down, it takes you to some corner of the human spirit where neither horror nor beauty concedes anything to the other.